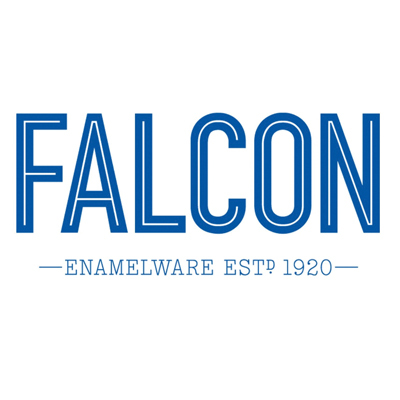 Perhaps one of our most popular (and familiar looking) wholesale restaurant crockery brands, Falcon Enamalware are an English based restaurant crockery manufacturer, known for their distinctive ice-white with a blue rim plates in particular. The classic design has had a long life line, but remains popular today with many casual dining and fine dining restaurants choosing the original Falcon Enamalware range for their restaurant crockery. Since, the wholesale crockery range has been improved to be more durable and hardwearing, make them a functional and quality choice of wholesale crockery. The timeless elegance of the Falcon Enamalware catering crockery has an enduring strength that makes them a popular choice for catering establishments, with long-lasting colours, chemical resistance and other high quality design features that appeal to the restaurant sector. Known and recognised in over 50 countries, the Falcon Enamalware catering crockery is an extremely versatile and adaptable wholesale crockery range that suits any style of food and most styles of catering establishments. Pattersons catering supplies are proud to offer such a distinctive and popular restaurant crockery range at fabulous wholesale prices with next day delivery too!